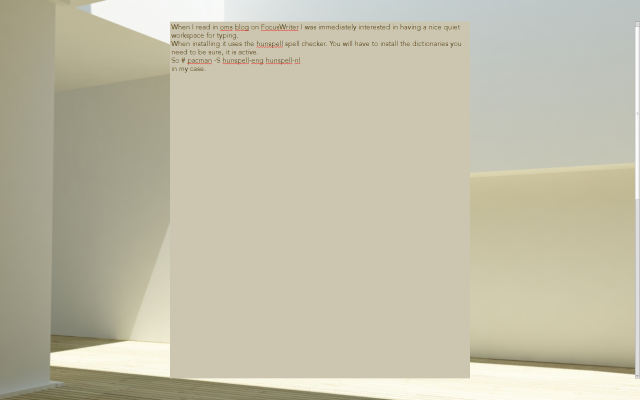 When I read in oms blog on FocusWriter I was immediately interested in having a nice quiet workspace for typing. It is in AUR. When spellchecking it uses the hunspell spell checker. You will have to install the dictionaries you need to be sure, it is active. By the way I have a question for Sandbox on Archlinux (ie. sandfox firefox-aurora): how to do, as it's impossible to post?